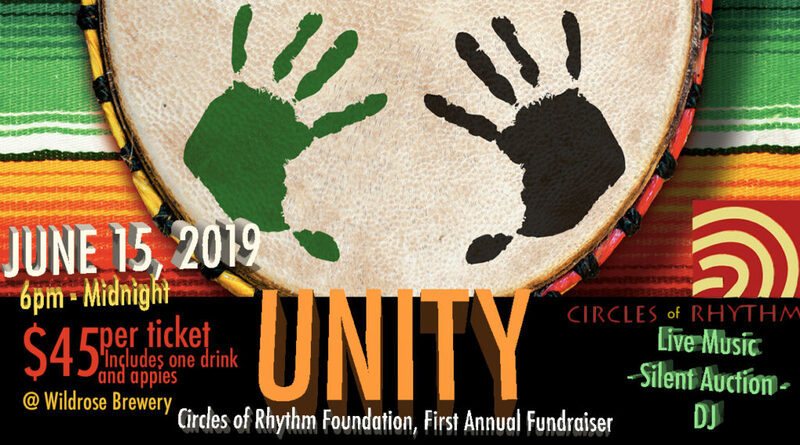 The Circles of Rhythm Foundation’s (CORF) aim is to bring the benefits of the Integrated Community Drum Circles (ICDC) to those affected by “The Three R’s”: Recovery, Resiliency, & Reconciliation. The UNITY annual fundraiser along with government grants will help fund the important mission of the CORF & other commUNITY agencies who are supporting affected marginalized populations in Calgary and the surrounding area. Offering, affordable Integrated Community Drum Circle (ICDC) programming to Non-Profit Organizations who otherwise could not afford to fund “one off” -or- ongoing community offerings. Year long, monthly drumming programs. Providing customized training workshops to Non-Profit Organizations looking to offer sustainable programming using the Integrated Community Drum Circle (ICDC) methodology. Funding mentorship, coaching, and supervision hours offered by Circles of Rhythm Master ICDC Facilitators to optimize learning & integration into agency. Using the Integrated Community Drum Circle (ICDC) to raise awareness of a social cause, bringing people together through rhythm. Social causes must be consistent with “The 3-R’s”. WHO QUALIFIES FOR FUNDING? HOW DO I APPLY? Agencies interested in bringing the ICDC to their organization will need to apply to the Circles of Rhythm Foundation (CORF) for approval. **Funding provided by the CORF is intended to subsidize regular rates based on the Circles of Rhythm booking regular rates. ***The CORF is not yet equipped to accept applications – if you or your agency is interested in applying in the future, please contact us directly to be placed on our waiting list. Don’t forget to attend our First Annual Fundraising event June 15, 2019! Thank you for your unconditional generosity! Making a difference, one beat at a time!